These Weasels are medium-sized, reaching a length of 23-40 cm for males and having a 13-25 cm long tail, with females being a bit smaller than the males. Both sexes have two sets of fur – in summer, the Long-tailed Weasel is coloured reddish brown, with a sandy underside, while in winter, these animals are completely white, except for the tip of the tail, which is black. The Long-tailed Weasel is an agile animal that quickly adapts to new conditions, which is why their distribution ranges from the South of Canada down even to Peru and Bolivia. 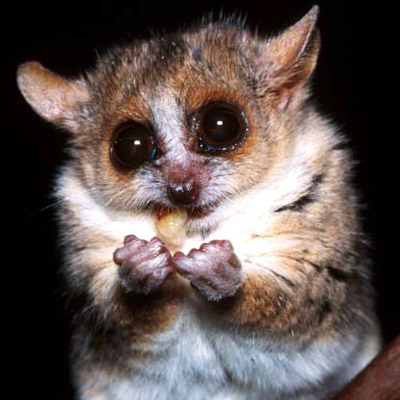 These animals mostly live alone and hunt mostly at night. During the day, they sleep in cliff gaps, leaf piles or caves abandoned by other animals. They’re also territorial creatures, which means that they excrete secretions to keep other animals at bay. The strong musk scent is usually enough to keep other Weasels from entering the territory, although sometimes a fight is needed to determine the rights for the territory, and these confrontations can be very violent and result in one of the animal’s death. 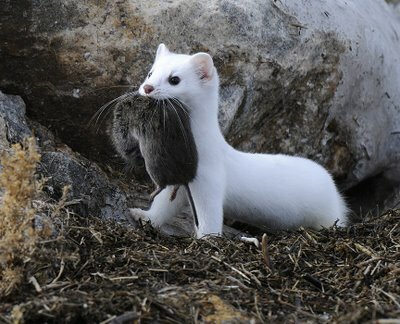 Despite the relatively small size, this Weasel is an excellent hunter, thanks to the great senses, especially vision and hearing. 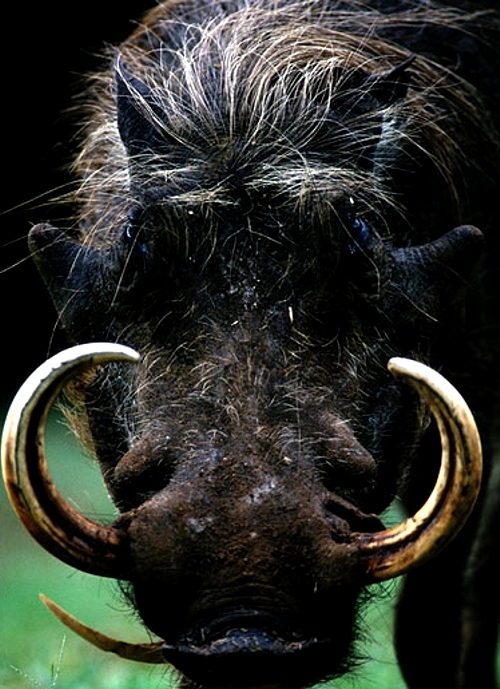 This animal is a weariless hunter – it will chase the prey for as long as there’s even the slightest chance of catching it, even if that means swimming or digging a hole do go underground. The Long-tailed Weasel can even manage animals that are larger than them, and their diet consists mostly of a variety of rodents, as well as reptiles and amphibians. 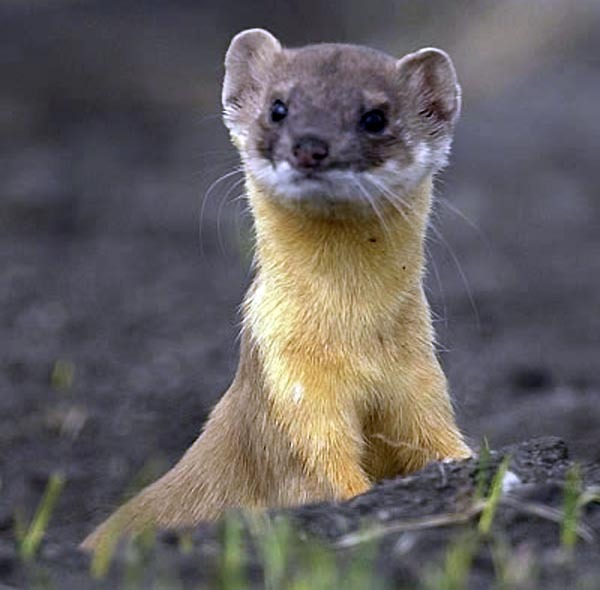 When the weasel catches the victim, she tears its stomach open with the sharp claws and then finishes it with a bite to the head or neck. Long-tailed Weasels mate at the warm time of the year, and both the partners mate multiple times in a few hours. The pregnancy is delayed so that babies are born only next spring, when food is abundant. Just before giving birth, the female finds a warm den. Thee to nine pups are born, and for the first few weeks the mother is very caring, and if sensing any danger nearby, she will take them to another place. For the first five weeks, they’re fed only milk, and later meat is also introduced. The mother completely stops feeding them with milk only when they’re 12 weeks old. At winter they leave the mother and find their own territories. The Long-tailed Weasel is a widely hunted for its fur, from which many fur coats are being made. Thankfully, the reproductive capabilities of these animals allow their population to remain stable and they’re currently not endangered.